The Worlds Lightest Alcohol Stove! 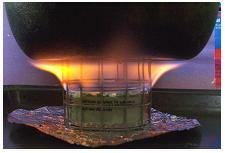 The Ion Stove was a process that started in 2000. Its evolution is shown here. 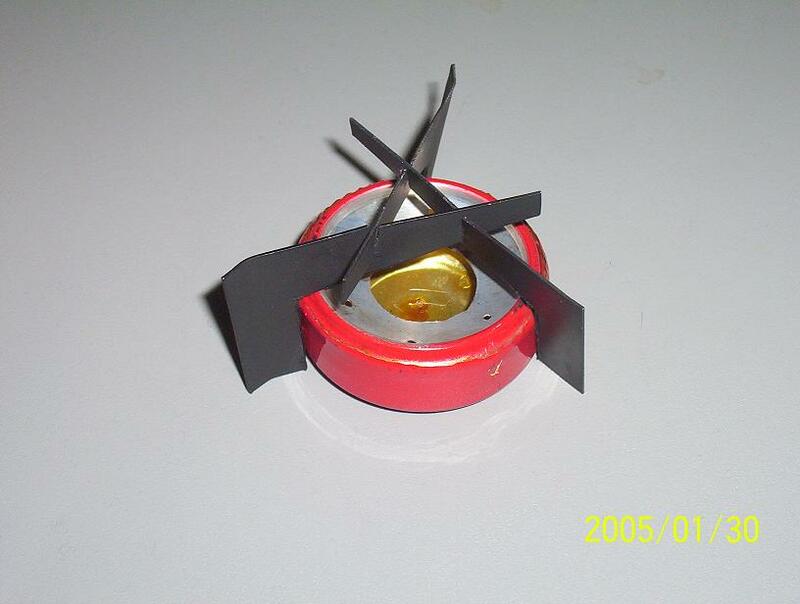 Although the Ion isn't directly related to the Cat Stove by Roy Robbinson, this was the first model of alcohol stove I ever built and used on the trail. I played with other stoves, but this Turbo V8 stove is the next stove I carried for a long time. I still think it is a great stove. The first stove to carry the name Ion Stove was this little baby, basically a chopped down Turbo V8. 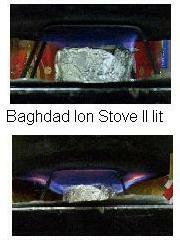 In Iraq I came up with this modification of the Ion Stove that started introducing some of the concepts eventually ended in the Ion Stove final design. 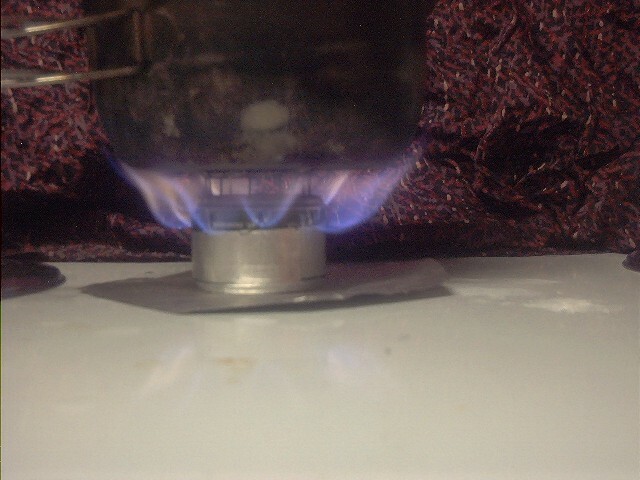 I smaller version of the Ion Stove made from tea light candles. 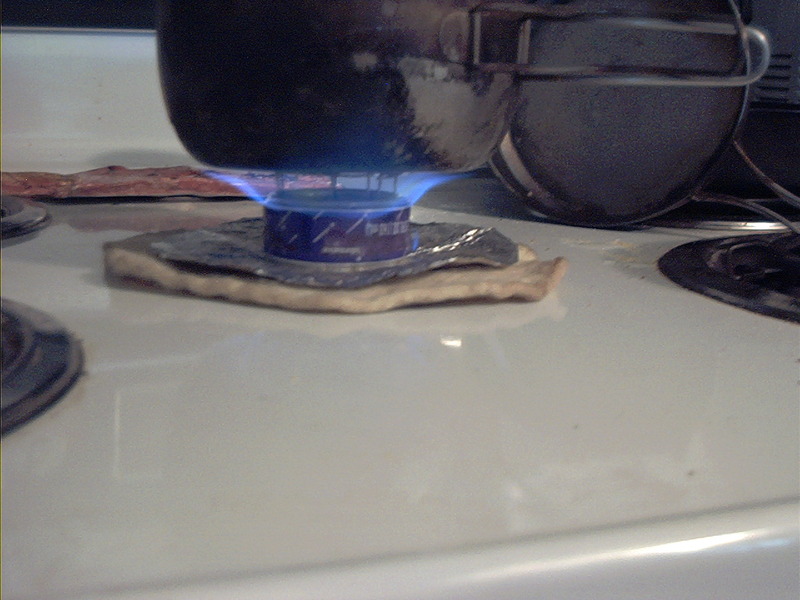 It is too small for an effective stove for most people, but it works. The last design of the Ion Stove to use the hardware cloth stand. The first Ion Stove to use a separate metal stand. This one is sheet aluminum. The next level of Ion Stove used a three piece steel stand and was the first model I painted. The final model of the Ion stove used a new can design that increased efficiency and a three piece titanium stand.